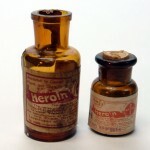 Under the generic name diamorphine, heroin is prescribed as a strong pain medication in the United Kingdom, where it is given via subcutaneous, intramuscular, intrathecal or intravenous route. Its use includes treatment for acute pain, such as in severe physical trauma, myocardial infarction, post-surgical pain, and chronic pain, including end-stage cancer and other terminal illnesses. 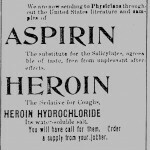 In other countries it is more common to use morphine or other strong opioids in these situations. In 2004, the National Institute for Health and Clinical Excellence, a non-departmental public body of the Department of Health in the United Kingdom, produced guidance on the management of caesarian section, which recommended the use of intrathecal or epidural diamorphine for post-operative pain relief. In 2005, there was a shortage of diamorphine in the UK, because of a problem at the main UK manufacturers. 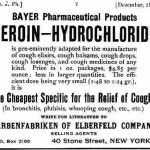 Because of this, many hospitals changed to using morphine instead of diamorphine. Although there is no longer a problem with the manufacturing of diamorphine in the UK, some hospitals there have continued to use morphine. 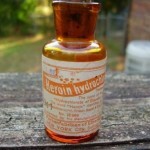 The majority, however, continue to use diamorphine, and diamorphine tablets are supplied for pain management. 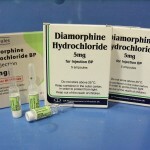 Diamorphine continues to be widely used in palliative care in the UK, where it is commonly given by the subcutaneous route, often via a syringe driver, if patients cannot easily swallow oral morphine solution. 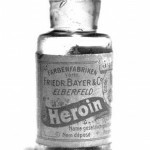 The advantage of diamorphine over morphine is that diamorphine is more fat soluble and therefore more potent by injection, so smaller doses of it are needed for the same analgesic effect. Both of these factors are advantageous if giving high doses of opioids via the subcutaneous route, which is often necessary in palliative care. 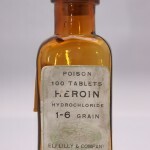 The medical use of diamorphine, in common with other strong opioids such as morphine, fentanyl and oxycodone, is controlled in the UK by the Misuse of Drugs Act 1971. In the UK, it is a class A controlled drug and as such is subject to guidelines surrounding its storage, administration and destruction. 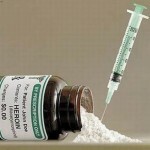 Possession of diamorphine without a prescription is an arrestable offence. When diamorphine is prescribed in a hospital or similar environment, its administration must be supervised by two people who must then complete and sign a controlled drugs register (CD register) detailing the patient’s name, amount, time, date and route of administration. In the case of a physician administering diamorphine, then he/she may administer the drug alone, however the rule requiring two registered practitioners, such as a nurse, midwife or another physician to sign the CD register still applies. 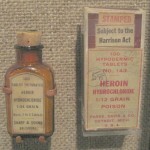 The use of a witness when administering diamorphine is to avoid the possibility of the drug being diverted onto the black market. For safety reasons, many UK National Health Service hospitals now only permit the administration of intravenous diamorphine in designated areas. In practice this usually means a critical care unit, an accident and emergency department, operating theatres by an anaesthetist or nurse anaesthetist or other such areas where close monitoring and support from senior staff is immediately available. However, administration by other routes is permitted in other areas of the hospital. This includes subcutaneous, intramuscular, intravenously as part of a patient controlled analgesia setup, and as an already established epidural infusion pump. Subcutaneous infusion, along with subcutaneous and intramuscular injection (bolus administration), is often used in the patient’s own home, in order to treat severe pain in terminal illness. 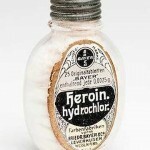 Medical Heroin hydrochloride. Production New York City.